For more information about Folklore and Folklife,at UPenn, contact Professor Dan Ben-Amos at dbamos@sas.upenn.edu. For assistance with the Folklore and Folklife website, contact Linda Lee at lindalee@sas.upenn.edu. Make a gift to the Fund for Folklore. Welcome to Folklore & Folklife at Penn! 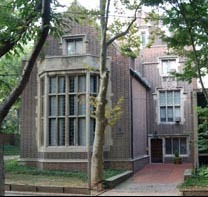 The Graduate Program in Folklore and Folklife at the University of Pennsylvania began in 1962 under the direction of MacEdward Leach, a medievalist who taught in the English department, and whose sound recordings from Jamaica, Newfoundland, and the Southern Mountains launched the Folklore Archive. Over the next four decades nearly 250 students earned the Ph.D. in Folklore from Penn. In 1999, the Department of Folklore and Folklife was restructured as a Graduate Program and a Center for Folklore and Ethnography (open 1999-2008). The Graduate Program, chaired by Dan Ben-Amos, is among a select group of academic programs in the United States offering graduate degrees (the M.A. and the Ph.D.) in folklore. The Program also offers a large number of undergraduate courses, enabling students at the college to minor in folklore. The offices, seminar room, archive, and resource library for the Program are on the fourth floor of 3619 Locust Walk, near the center of campus. Admissions to the graduate program in folklore and folklife are presently suspended. However, we continue to offer graduate and undergraduate courses in folklore and folklife. If you are interested in applying to a related program at Penn, and would like to explore the possibility of a concentration in folklore, please write to Prof. Dan Ben-Amos, the program chair.